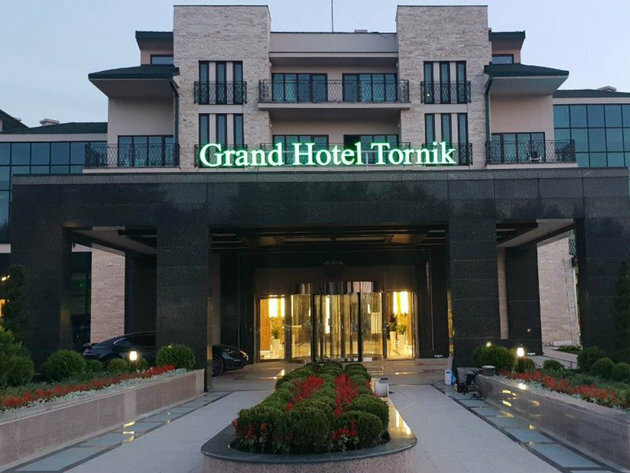 Grand Hotel Tornik on Zlatibor has welcomed its first guests, as confirmed for our portal exclusively by A Hoteli Group. As they say, the official opening will take place in October, and the hotel will continue welcoming visitors regularly during the pre-opening period. This luxury 5-star hotel currently features guests from Serbia and the region, and the new asset of Zlatibor offers 129 accommodation units for tourists. As Vesna Vlatkovic, PR and Marketing Manager of A Goteli, explains, Grand Hotel Tornik is the central part of the complex this group is building on this Serbian mountain. The opening of Hotel Tornik Sky is expected soon, which will feature, among other things, a heliport and a rotating restaurant. Once it opens, the two facilities will be offering a total of 354 rooms. – Grand Hotel Tornik has started operating and all its features are available to guests, from the restaurant, the lobby and wine bar, to a 400-m2 congress center equipped with the latest technology. There’s also a spa and wellness center on 2,250 m2, which has 2 big pools kept at 30 degrees Celsius, a Jacuzzi, 7 massage rooms, a relaxation room, a Finnish and a bio sauna, a Russian spa, experience showers, Vichy massage rooms and other accompanying features – Vlatkovic says. Our interviewee notes that, in such great weather, the hotel’s balcony of 1,500 m2, along with restaurant specialties, is especially attractive. – The first guests are very satisfied with the service of our young staff, especially with the gastronomic offer of top quality specialties – Vlatkovic points out and adds that a large number of young people will get an opportunity to work at this hotel, who will be educated to provide top quality service, in line with A Hoteli Group’s existing standards.